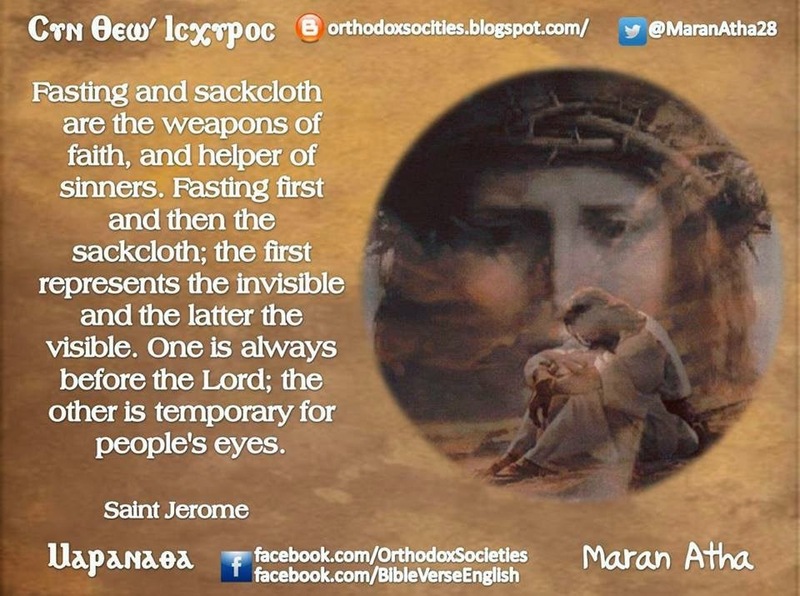 Fasting and sackcloth are the weapons of faith, and helper of sinners. Fasting first and then the sackcloth; the first represents the invisible and the latter the visible. One is always before the Lord; the other is temporary for people's eyes.